From tantrums to time outs, potty training, positive discipline techniques and even picky eaters, the toddler years can be overwhelming for parents. How do you know when to discipline? What is the best thing to do when your child has a tantrum in the grocery store? Will our toddlers ever learn manners? And what should we do about picky eaters? Kandoo is here to help! We teamed up with Jill Huynh, a parenting specialist at Beech Acres Parenting Center to host a Facebook live chat to talk all things toddler. Keep reading to see some of Jill’s top tips, or click here to watch the full interview on Facebook. Be patient! Your child is going to learn and do this on their schedule. This can be frustrating, but it’s important to wait until your child is ready. Their timing may not be the same as other kids their age. Make it fun! Kids are all about play, so do your best to make their time on the potty fun. Read to them, sing to them, put Cheerios in the toilet for target practice. Get creative. Invest in the right tools! 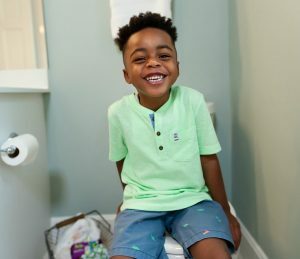 Kandoo Flushable Wipes will help your child become potty independent. Click here for a coupon. Praise often! Kids love praise, so whether it’s a high-five, a cheer, dancing or a hug, be sure to praise your child for their efforts. 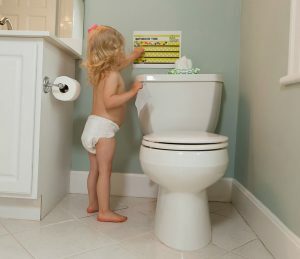 For more great potty training tips, be sure to visit KandooKids.com/PottyTraining. Tantrums will happen. Your kids are going to talk back at some point. What you can control is YOUR reaction to that. It’s important for you as a parent to regulate yourself during these situations. Try to identify possible tantrum situations in advance, and make a plan for how you will handle it. Make it quick, efficient and consistent. Your child’s job as a toddler is to test you and learn from you. It’s okay to take a moment, take some deep breaths, and address the situation when you are calm and in control. Talking to kids about consequences is not always the answer. When kids are upset, they can’t usually see beyond the moment. Talking about consequences during the tantrum often makes it worse in the moment. It’s okay to have a conversation later. Little kids don’t understand time. Short consequences are better than long ones. If you decide to try using a time out method for your child, keep it short – no longer than one minute per year of age. 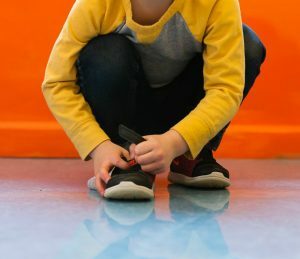 If your child is acting out or refusing to stay in time out, trying a time-in approach may be more effective. Your child can take the time they need to read a book, play with a different toy or calm themselves down before rejoining the group. Remember parents, this is not easy. Be prepared and try to manage yourself the best you can. Teaching manners can never start too early with kids. The best way to teach manners is to model manners. Kids are watching everything you do. Make sure you’re consistently using great manners with your partner, your kids, and the people you come in contact with. Reminders are helpful when it comes to manners as well as conversations about family values and why manners are important to your family. Overall, keep in mind that all kids, just like adults, have strengths. It’s important to try to focus on those strengths rather than a child’s problems or specific issues. Remember to praise your child throughout the day and “catch” them being good. This consistent positive reinforcement will your child build on their strengths. You can watch our full interview with Jill below (including tips for time outs and picky eaters), or click here to watch it on Facebook. Looking for More Parenting Tips? Kids don’t come with instruction manuals. Beech Acres Parenting Center provides families with parenting programs, services, and expert resources for every stage of life. Click here for more information about their free programs and services or call 513-231-6630.